Well, it's about the midpoint of the fall Atlantic salmon season here in Connecticut. I'm happy with how things have gone so far. Fall 2014 was the worst in recent memory. Even though the water has been dreadfully low this season, the fish have seemed to be much more aggressive than they were last season. Despite the good fishing, I am sad to signs of the upcoming winter. Most of the leaves have fallen off the trees in my yard. The sun sets early enough where evening trips to the river no longer make sense for me. Though I look forward to catching a big fish on a two handed rod and a copper tube fly, I'm going to miss fishing long leaders and small wet flies.I had today off and originally planned wetting a line. The 20-30 mph winds kept me home practicing music for an upcoming record date (which I should be doing anyway) and catching up on some much needed sleep. You'll notice a lack of regular reports lately. It's not that I haven't been out on the water, I just haven't been fishing. Guiding has been in full swing and many salmon have been caught. 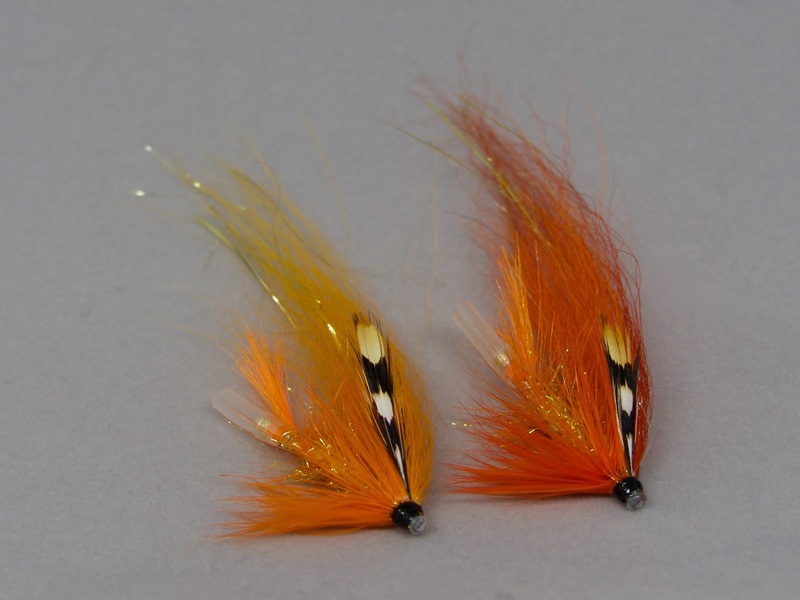 Flies of choice so far have been the Mickey Finn (6 salmon! ), the Green Machine, and the Grey Ghost. We even had some success on a subpar day, fishing in high, stained water. 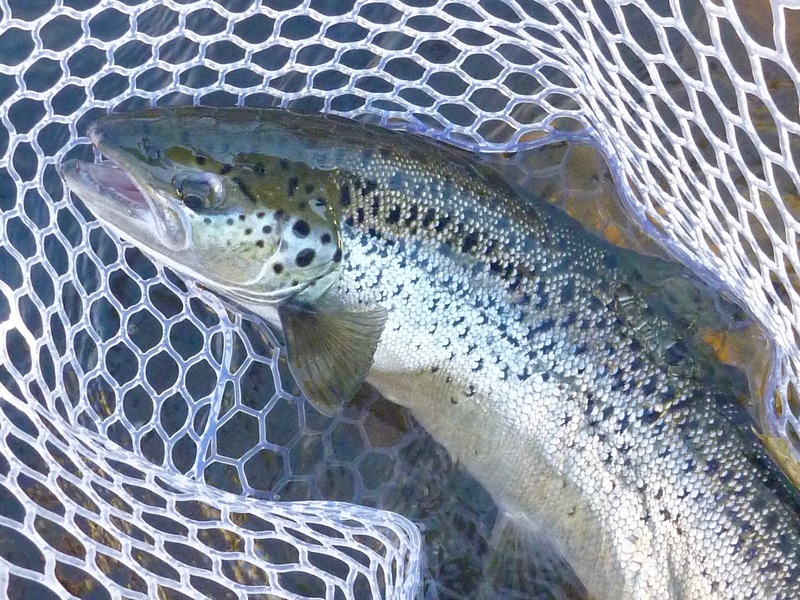 When fishing highly colored water, I have the most success with large tube flies. When the river is moderately stained, an Ally's Shrimp is my fly of choice. When it's heavily stained, I use a Temple Dog-style tube fly. Here is a fly that was successful in very dirty water after our biggest rain of the season. It is essentially an all-orange Temple Dog. 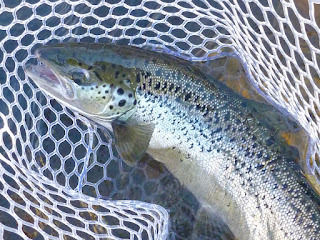 I sink the fly and fish it slowly to give the salmon ample time to see it. The Dirty Water Dog is an obnoxious looking fly but, if it saves the day, I don't mind one bit. This particular color variation is new to me this season, but I have recipes for the original Temple Dog and some of its variants in my ebook "Flies for Connecticut Atlantic Salmon: How to Tie & Fish Them." 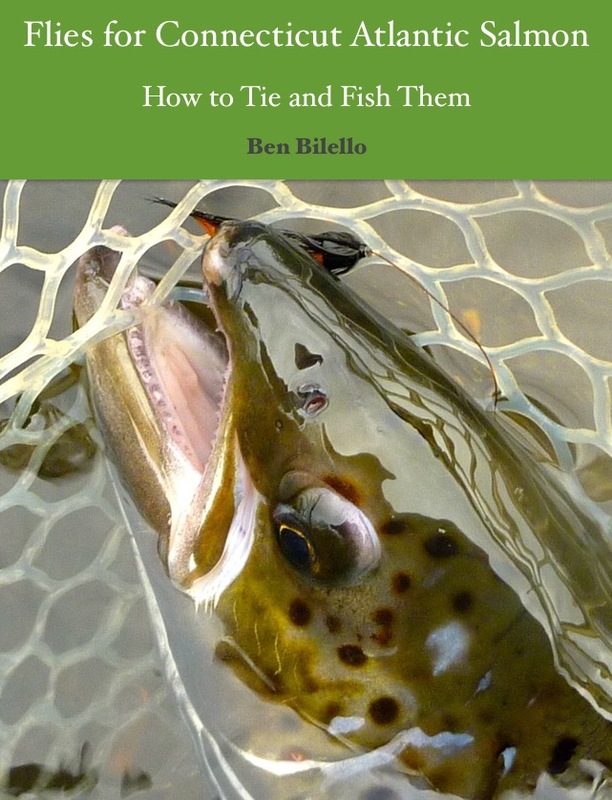 I did not make a Temple Dog fly tying sequence because the best possible source is already out there. 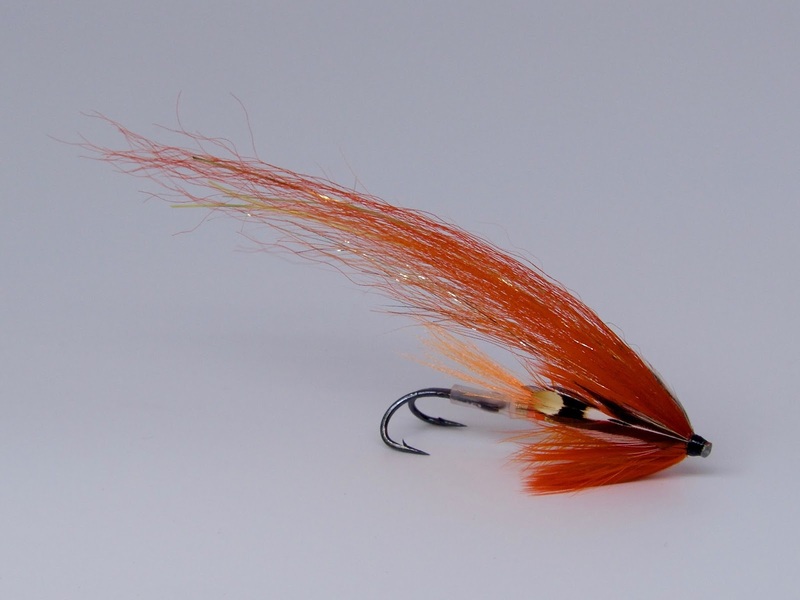 Click here to watch the creator of the Temple Dog, Håkan Norling, tie his original fly. Note: If I plan on using a conehead, I do not weight the fly. If I don't use a cone, I wrap a layer of lead tape around the tube beneath the space allotted for dubbing.